Over one billion people live with some form of disability; this is roughly 15 percent of the world’s population. According to the Better Life Mobility Center, 74.6 million people in the United States have some type of disability, making people with physical disabilities the largest minority group in the United States. The median monthly earnings for adults age 21 to 64 years old with a disability is $1,961 compared to $2,724 for those with no disability. Although accessible public transportation assists those with disabilities to get to work, medical appointments and social activities, sometimes it’s not enough. So how does this come into play for those who need or want a special needs mobility vehicle? People with disabilities are making less money yet they are stuck paying a higher price to purchase a mobility vehicle. The cost for a disability van ranges from $40,000 to upwards of $100,000. This is more expensive than the 2016 best-selling car in America, the Toyota Camry that sold for an average price of $28,189. This is where Eliyahu Rosenbloom found his niche. FR Conversions, Inc. was founded in 2008 by president and owner-operator, Eliyahu Rosenbloom. Rosenbloom was shocked at the prices on special needs conversion vans and how people were forced to sacrifice just to afford these vans. The high prices also resulted in customers having to purchase pre-owned and previously converted vehicles to someone else’s needs. Rosenbloom was determined to do something about the situation. 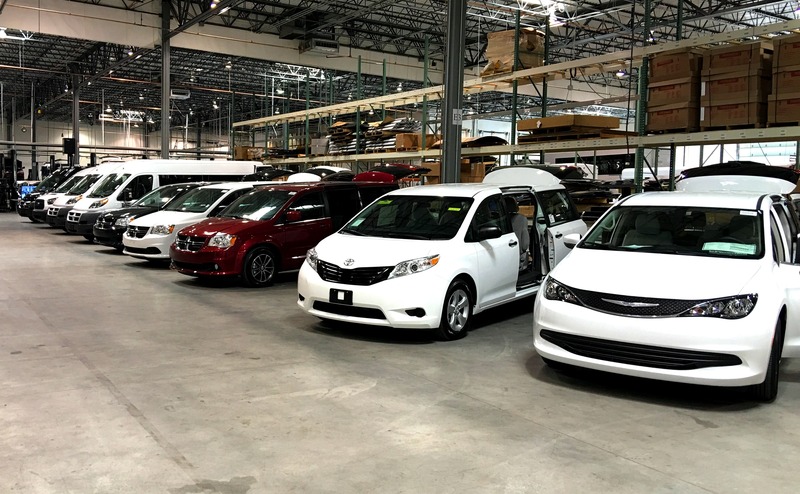 To step up to the challenge, he created a list of criteria to make conversion vans more cost effective while maintaining the uncompromised safety, quality, comfort, service and technology that customers needed. With more than 10 years of experience as an emergency medical technician and owner of companies revolved around automotive mobility, he was truly the right person for the job. Since the company’s conception in 2008, business has been booming. In fact, FR Conversions has relocated four times to maintain progress with the company’s accelerating growth. Because of the high demand and limited resources, FR Conversions also had to reassess its equipment. Initially, the company had been using two plasma tables to keep up with its flood of orders. After two years with two plasma tables, however, Rosenbloom decided that a third plasma table was needed. For his first time ever, he made a trip to Fabtech in Chicago in 2013. Although his mind was on a third commercial plasma table, Rosenbloom decided to see what other technology was out there since he was at North America’s largest metal forming and fabricating event. After seeing the edge quality, speed and accuracy of a laser, Rosenbloom seriously considered researching a laser-cutting system. At first, he thought a laser would be far too expensive to purchase, operate and maintain. 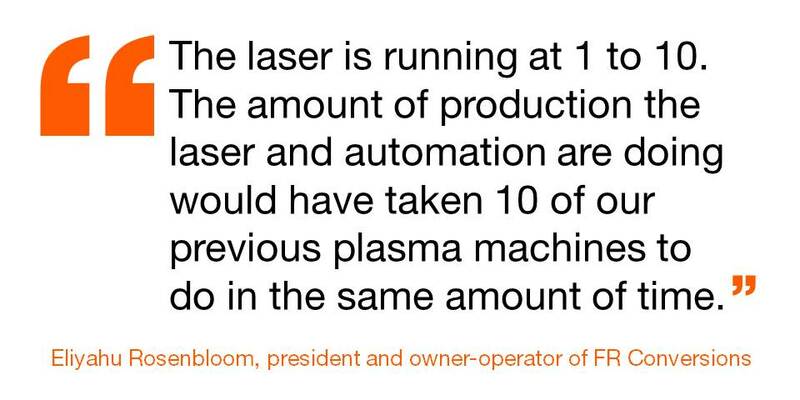 But after further research and talking with the laser manufacturers at Fabtech, Rosenbloom thought it would be worthwhile to at least go back to crunch the numbers. 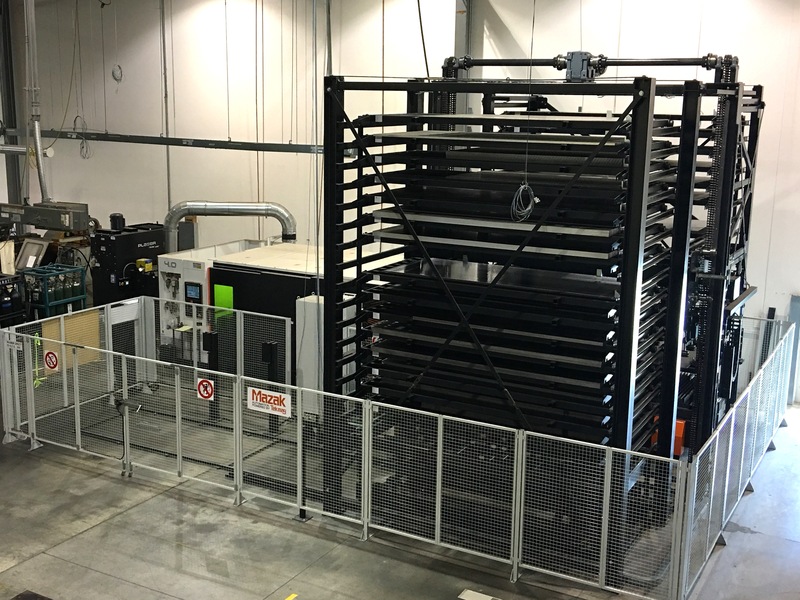 After researching and visiting multiple laser manufacturers with laser-cutting and automation solutions ranging from $600,000 to $5 million, Rosenbloom decided on the Mazak OPTIPLEX NEXUS 3015 Fiber with a 24-shelf compact vertical flexible manufacturing system. But what also convinced Rosenbloom to do business with Mazak was how Mazak treated his business. “Mazak has great machines but more importantly the people I was doing business with were humble and treated me just like they would a huge corporation,” Rosenbloom says. “It was an ideal business relationship”. Since the introduction of the laser and automation system, the solution has reduced multiple processes. Rosenbloom explained. “After cut cleaning process have been eliminated as well as the material handling on and off the machine”. Mazak’s OPTIPLEX NEXUS 3015 Fiber incorporates the company’s Intelligent Technology to directly increase the productivity of the end user by allowing the machine to automatically optimize the torch setup per program. The optimization dramatically improves cut speeds, increases throughput and requires less operator intervention, delivering more predictable processing day after day. Furthermore, the fiber laser system gives the cut parts such a high quality edge that there are no secondary operations to worry about – there’s nothing to remove. Because of the high-quality parts coming off of the NEXUS Fiber, FR Conversions had the confidence to invest more. Rosenbloom explains, “Bending the parts has become easier and more automated as the precisions of the parts are vastly improved. The laser-cut part quality allowed us to purchase higher end press brakes because we knew that these parts weren’t going to chew up and wear down the machines. Adding the laser added longevity to every part of production downstream”. The laser and automation have also eliminated material handling, which typically was performed by the company’s employees. 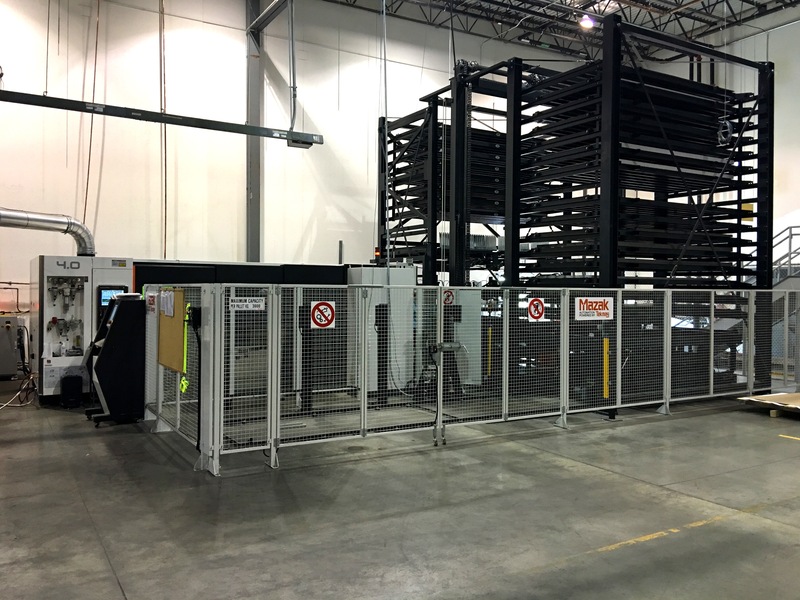 Because the laser has the 24-shelf automation system, the parts are loaded and unloaded instead of being changed by someone after every cycle. “The laser is now running at 1 to 10,” Rosenbloom says. “The amount of production the laser and automation are doing would have taken 10 of our previous plasma machines to do in the same amount of time”. As for cost savings, Rosenbloom explains, “Right now the cost is mostly at a wash but in 2016 we will have realized about $20,000 in savings over the cost of the plasma tables. The real returns come as we scale out business and begin utilization at a higher rate. We estimate that this year we will save over $100,000. We also foresee that we will have $1 million in cost savings within four to five years”. As for other improvements, Rosenbloom describes “ faster parts production, less issues with parts availability, more accurate nesting and sheet utilization, etching part numbers as well as scribe and bend lines and instructions. We also are working on introducing micro-slotting, and once we implement that, it should vastly decrease some of our assemblies’ fabrication time". Another benefit is that the laser is able to cut reflective materials that have not always been so easy. “A couple of my partners came to visit the facility and were in awe with how well the laser was cutting these difficult materials,” says Rosenbloom. The OPTIPLEX NEXUS 3015 Fiber offers superior edge quality, more stable cut performance and greater throughput for applications utilizing stainless steel, copper, brass, bronze, aluminum, hastelloy, inconel, titanium, thin gage mild steel and other exotic metals. If there were even the slightest bumps along the way, Mazak was there for them, Rosenbloom explains, “If there ever was an issue, we had a lot of support from Mazak. We were never left alone. Being in the manufacturing industry, I understand things aren’t always perfect. I don’t expect perfection, but I do expect absolute support. And that’s exactly what Mazak gave us”. When Rosenbloom first set out on his mission to offer more affordable solutions for his customers, he may have considered it a challenge. But today, with the help of new equipment and a great team, that challenge has been overcome. 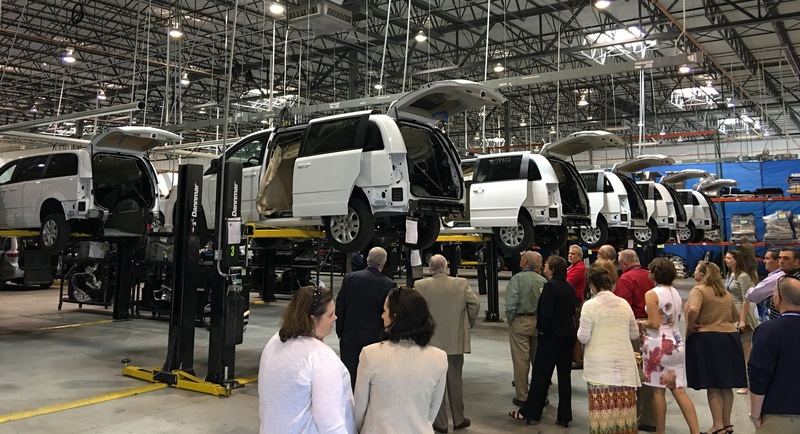 Just a little over a year ago, FR Conversions moved once again to Westminster, Md., where they invested $20 million into a 152,000 sq.-ft. facility, which is six times larger than the previous location. And the growth continues. In the first quarter of 2017, FR Conversions will launch its newest ambulance division – yet another means to get people safely from point A to point B. Article published in the February issue of Shop Floor Lasers Magazine.